I have always been intrigued with the life story of the United States’ first woman astronomer, Nantucket born, Maria Mitchell. Perhaps it is the obvious namesake connection or maybe it is her discovery of a comet and contributions to science, but after reading her biography, Maria Mitchell and the Sexing of Science by Renee Bergland, and then a novel of historical fiction, The Movement of Stars by Amy Brill, loosely based on her life and recently visiting her family home in Nantucket, I feel a deeper connection to the private, serious Maria. Born in 1818 on Nantucket, young Maria assisted her father rating chronometers for use by sea captains as they sailed far and wide in search of whales. 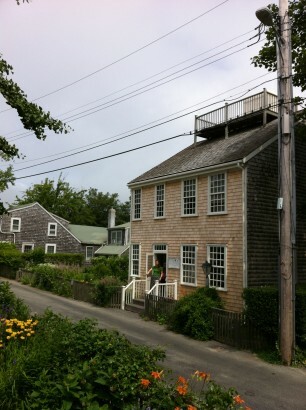 Early in her career she taught Nantucket schoolchildren and became the first librarian of the Nantucket Atheneum. Upon her discovery of a comet in 1847, she joined the American Academy of Arts and Sciences as its first female member and later became the first Professor of Astronomy at Vassar College. 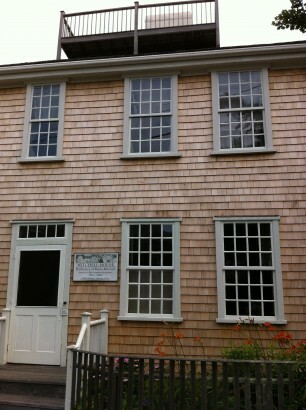 Her family’s home in Nantucket has been thoughtfully preserved in the simple manner of a Quaker home at the time. 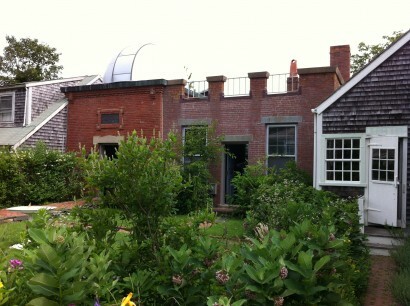 Walking through the small period rooms, the home offers a glimpse of her life and accomplishments as a scientist and famed astronomer. 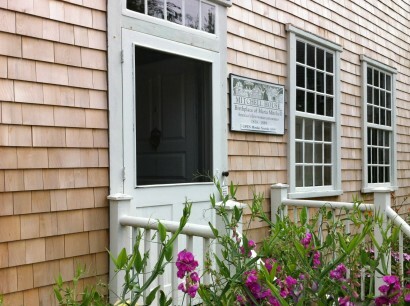 Near to her home are two observatories, a museum, a library and aquarium, thanks to the good works of the Maria Mitchell Association of Nantucket. Photos of the interiors of the home are strictly forbidden and although I would have liked to photograph the home to share, I do think it is better to save the experience for a visit in person. There is nothing quite like actually being somewhere.